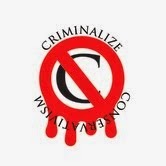 Criminalize Conservatism: Conservatism: The New Murder, Incorporated? Conservatism: The New Murder, Incorporated? "Murder, Inc. (or Murder Incorporated) was the name the press gave to organized crime groups in the 1930s through the 1940s that acted as the 'enforcement arm' of the American Mafia, the early organized crime groups in New York and elsewhere. The groups were composed of largely Jewish-American and Italian-American gangsters from the Brooklyn neighborhoods of Brownsville, East New York, and Ocean Hill. Originally headed by Louis 'Lepke' Buchalter, and later by Albert 'The Mad Hatter' Anastasia, Murder, Inc. was believed to be responsible for between 400 and 1,000 contract killings, until the group was exposed in the early 1940s by informer and group member Abe 'Kid Twist' Reles. In the trials that followed, many members were convicted and executed, and Abe Reles himself died after falling out of a window. Thomas E. Dewey first came to prominence as a prosecutor of Murder, Inc. and other organized crime cases..."
Conservatism is nothing more than Murder, Inc. without the pinstripe suits and gats, and because they are a "political" entity they always get away with murder...and lying...and stealing. Underneath the $100 haircuts, wide grins and beaming faces a Conservative is a criminal. Underneath the rhetoric and slimy campaign ads the Republican Party is just a front for the biggest criminal organization in history -- Conservatism. Maybe there oughta be a law...maybe some of the worst of the worst oughta get the final punishment. "I wonder if it's possible to be a Republican and a Christian at the same time."